Learning in the classroom is now made easier. 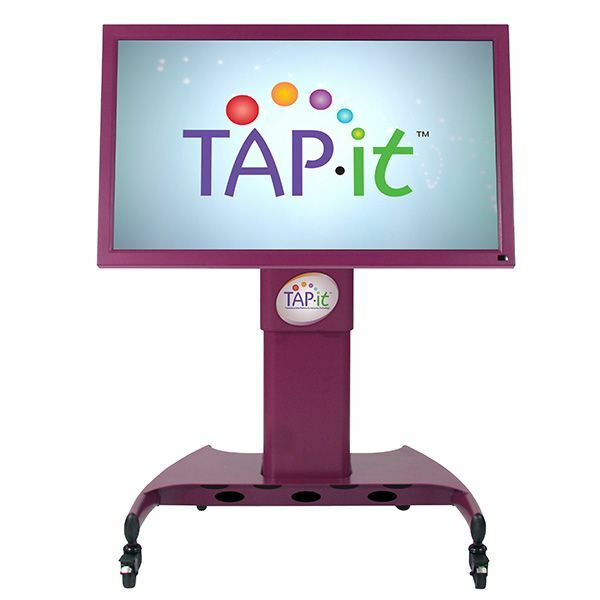 The TAPit platform is the Touch Accessible Platform for Interactive Technology. The first of its kind, TAPit is the first assistive, learning center using “intended touch.” And it serves each individual’s special needs. A transformative tool for therapists, it can support occupational therapy and academic goals, maximizing flexibility and adapting to a person’s individual needs. It’s the first ADA-compliant interactive learning station designed to recognize the difference between an arm resting on the screen and a finger or assistive device intentionally tapping an image. TAPit is easily reachable and adjustable for people using wheelchairs, walkers or other mobility devices. With the touch of a button, the platform can move up or down, and the 42” interactive LCD panel can be tilted from 0-90 degrees. TAPit can help children with fine motor delays. Using the finger, an assistive device or reach stick, it can be operated by anyone. Equipped with large icons, it can help the student select a large target to help accommodate a lack of precision. Visually-challenged students can use TAPit to enlarge images or change background colors within seconds. Teachers and therapists love it because it can be used with any software on your computer. The low-glare, matte finish is shadow-free, providing optimal viewing for low-vision users. Finger touch input keeps hands free of pen tools that interfere with signing. Hearing-impaired students can read from the board and sign at the same time, increasing opportunities for communication. For students with developmental delays, TAPit offers ongoing visual reinforcement. This helps improve functional capabilities, track content with greater ease and help process information. The TAPit platform works with virtually all educational and assistive software programs that you’re currently using on your classroom computer. Name a program, and TAPit makes it better in a big way. 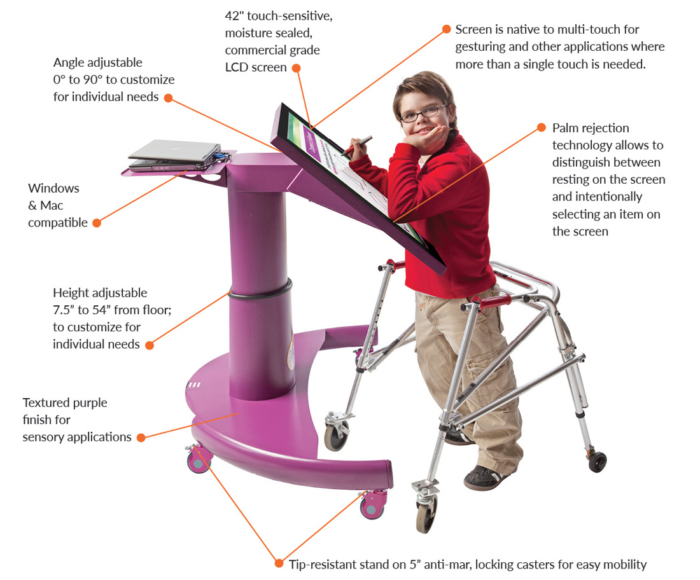 The large, touch-sensitive screen supports the use of onscreen keyboards or voice recognition for typing; switch/scanning for mouse control or cause/effect programs; screen readers for text-to-speech capability; as well as screen magnification programs. TAPit is a game changer for the class room. With so many functions and purposes, it’s easy to see why this revolutionary teaching tool is quickly gaining popularity. See the results for yourself!